This data file is used after normalizing to NFC. 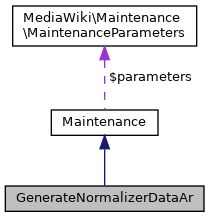 Definition at line 40 of file generateNormalizerDataAr.php. Definition at line 41 of file generateNormalizerDataAr.php. Definition at line 52 of file generateNormalizerDataAr.php. References $code, $data, $file, $IP, $line, $name, $source, as, Maintenance\error(), Maintenance\fatalError(), Maintenance\getOption(), and Maintenance\hasOption(). Definition at line 48 of file generateNormalizerDataAr.php.